Our major community partner is the City of Mandurah. 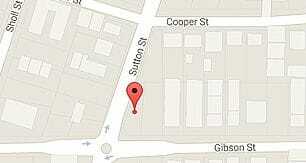 They provide the Peel Community Kitchen with the premises at Sutton and Gibson Street, Mandurah. This allows us to operate the kitchen and provide the much needed assistance to the community, serving 100 meals per day. The Peel Community Kitchen is also a beneficiary of the City of Mandurah Partnership Fund programme. Volunteers are an important and integral part of our operation. Without the willingness of our volunteers to donate their time and skills, the Peel Community Kitchen would not be able to provide our services to the community and raise the funds necessary to fund it. The generosity and support of the local business community is of paramount importance to the Operations of the Peel Community Kitchen. They provide us with food and cash donations, in addition to their support in our fund raising activities. 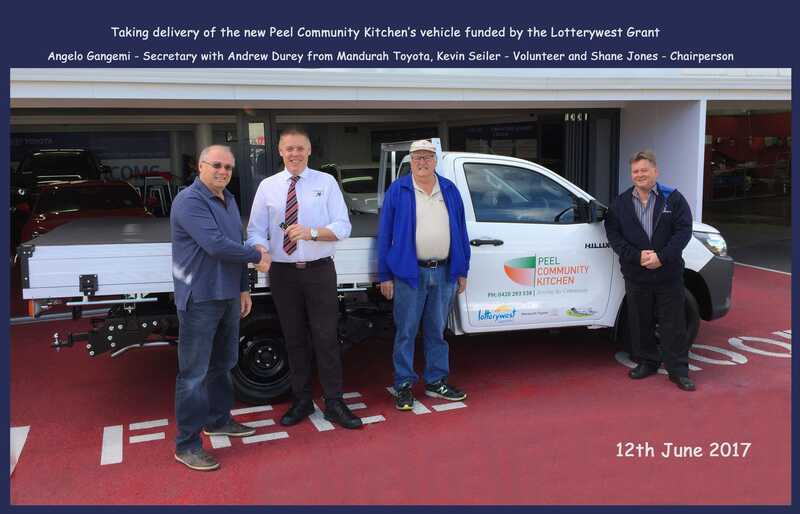 In particular, we thank Lotterywest for their fantastic donation of funds that allowed us to buy a new vehicle and replace the old rusty Ute. We are thrilled to announce that we have been named as one of the 200 Westpac Foundation Community Grant recepients for 2018. The $10,000 grant will help us to continue helping the people in need within our Community. We invite new businesses to embrace our cause and work with us to better deliver assistance to the community. Also, a special thank you to the generous members of our community that make regular cash donations either direct or via our website. We sincerely thank all our Partners. Calvary Youth Services Mandurah Inc. Halls Head Community Bank - "Bendigo Bank"
Please support all of the businesses that support us. The Peel Community Kitchen's website may contain links or references to websites operated by third parties ("Third Party Websites"). The Peel Community Kitchen provides these links as a courtesy and this should not be interpreted in any way as an endorsement of any Third Party Website. Third Party Websites are not under the control of the Peel Community Kitchen and the Peel Community Kitchen is not responsible for the content of any Third Party Website.